I am currently an Associate with MGR Real Estate, Inc. located in Southern California and work out of the Victorville location. I have been a resident of the California for the past 43 years. I began my career in real state beginning in June of 2014 as an apprentice. Working hard to obtain my real estate license, I earned the privilege of becoming a Commercial Agent in October of 2014. Remaining focused and relentless with education and training, MGR Real Estates Mentor Program presented me with a valuable opportunity and understanding of the Commercial and Residential aspects of real estate. As a commercial real estate agent, I specialize in Commercial Sales and Leasing as well as Residential Real Estate sales. I strive to provide great service and answer client needs, I work to perform professionally, with integrity and honesty in representing my clients. Your time is valuable and time-lines need to be met. I also work in the computer industry and have for the past 20 + years. Now, I make technology work for me with the ability to serve my clients better and streamlining the process of each transaction clean and efficiently. I hold a Associate of Applied Science in Electronic Engineering in Computer Science and Technologies as well as years of experience with various technologies from printers, pc’s, laptops, to servers, network topologies and securities. Versed with PHP, HTML, MySQL, Linux Apache, Cisco Systems, Microsoft, programing languages and platforms. I am a licensed Realtor BRE# 01964067 Broker # 01841920. 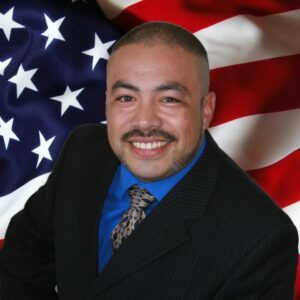 I am a member of Citrus Valley Board of Realtors. Commercial Real Estate, Real Estate Investing, Property Management, Computer Science and Technologies.